A professional couple in Helderfontein had their new house tiled throughout with this beautiful cement look porcelain tile. The only problem, it was very slippery when it got wet. A big problem on the pool deck. But fear not! Our anti-slip coating adds grit without changing the appearance of the tile. When wet floors threaten the safety of family and visitors and the high quality look and feel of the interior and exterior design of your home, there is only one option – Seguro Nonslip Surfaces’ “invisible” anti-slip coating. 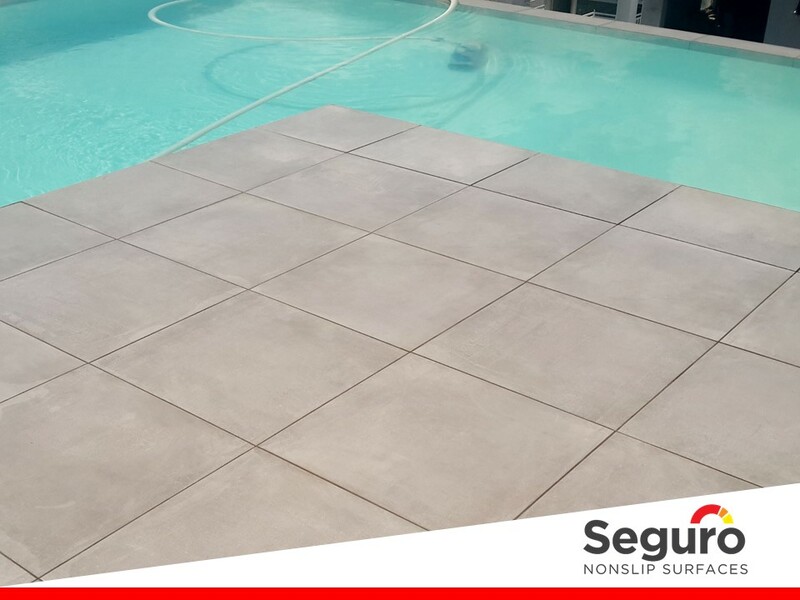 With our anti-slip coating the tiles on this pool deck is safer and still beautiful!